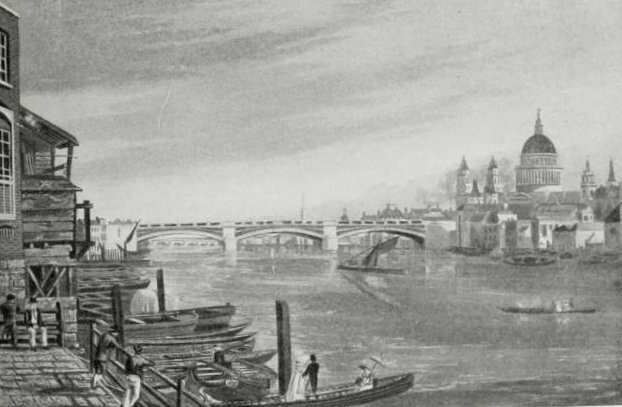 View of Southwark Bridge. Drawn and engraved by Robert Havell and Son. Source: The Studio, 49 (1910): 131. London Past and Present. Ed. Malcolm C. Salaman. Text by Charles Holme. London: The Studio Ltd, 1916.